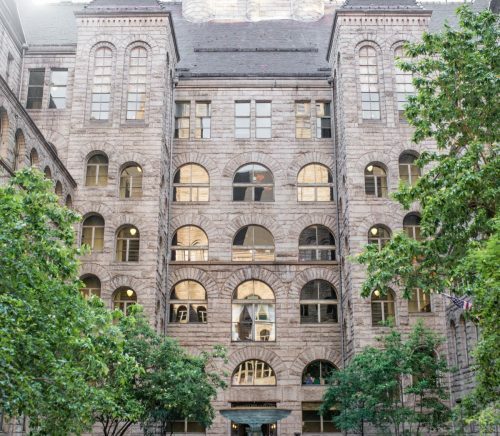 Located in downtown Pittsburgh, the 130-year-old Allegheny County Courthouse is a National Historic Landmark and architect H.H. Richardson’s masterpiece. 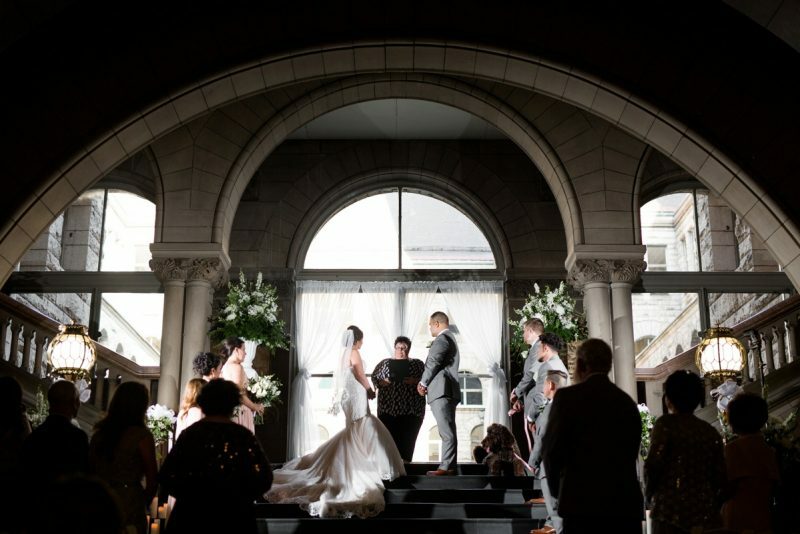 Couples can host their ceremony, cocktail hour, reception, or bridal shower in this one-of-a-kind building. 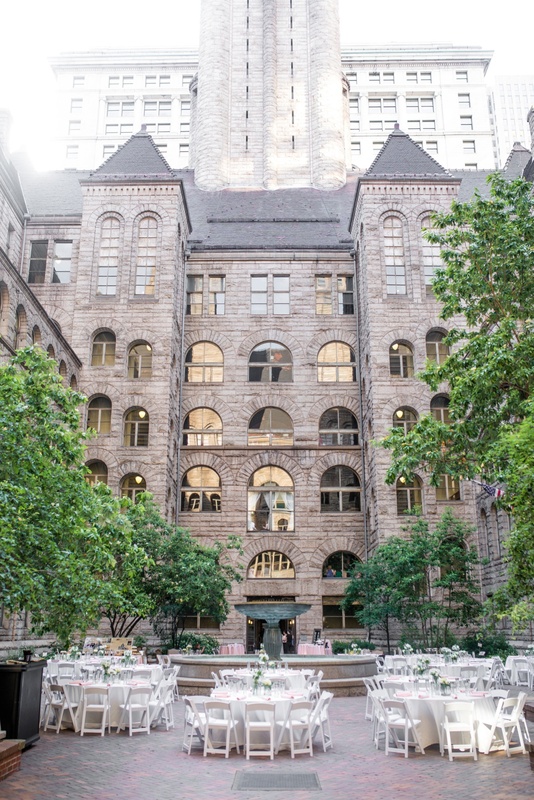 The Family Courthouse Courtyard (also known as the old jail) features ivy covered walls, bistro string lights, dramatic wrought iron gates, and a rose-etched memorial that makes the space feel like a secret garden. 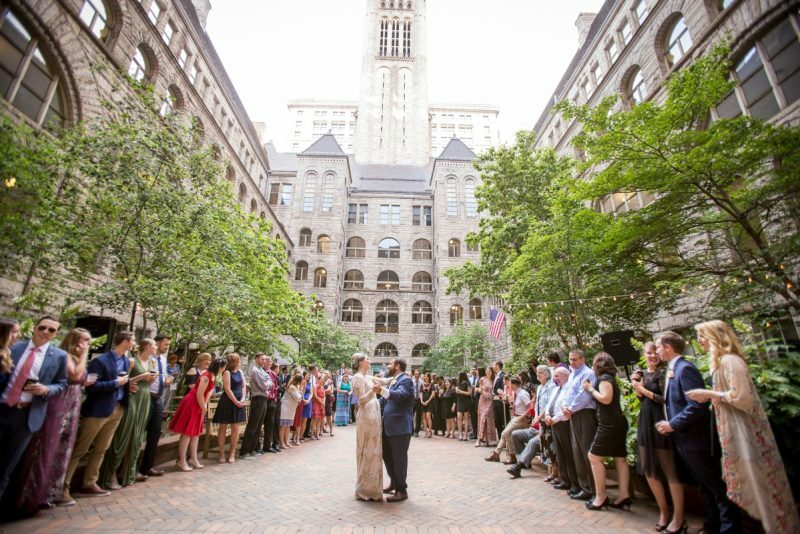 The Allegheny County Courthouse has so many unique features that make the space unlike any other venue. Its Grand Staircase features soaring arches, marble floors, and murals. It is perfect for an intimate ceremony, large reception, or special event! 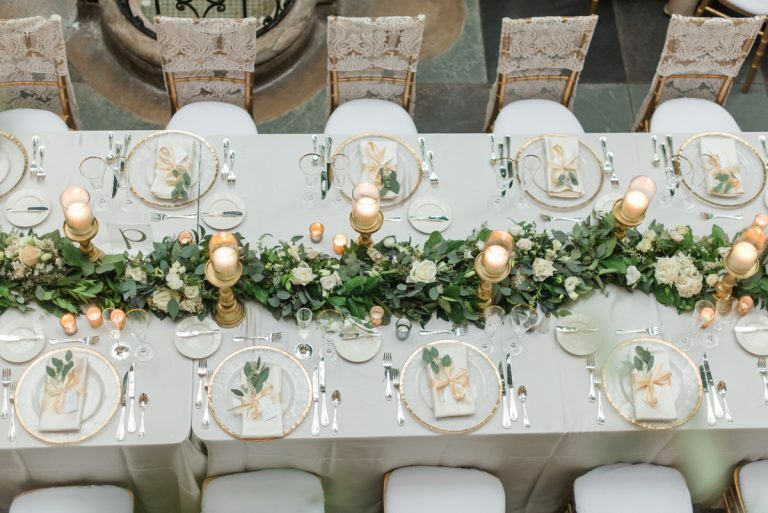 The ideal client is someone willing to break the traditional wedding trends and embrace all the unique features of the Courthouse.